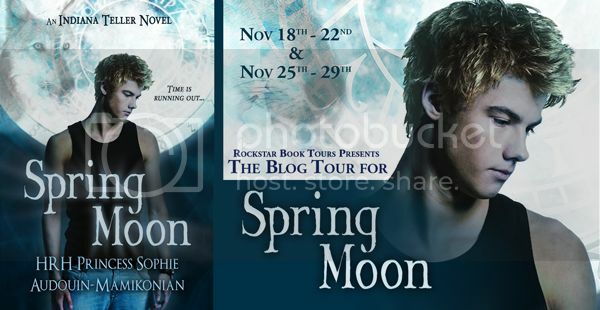 Welcome to the Spring Moon Scavenger Hunt hosted by RockStar Book Tours! It seems the doctor at our hospital cut the umbilical cord, and my mother smiled and vanished, leaving behind an empty hospital gown. My father was so startled he almost dropped me. Just as suddenly, my mother reappeared. For weeks after that, my father was hailed as a messiah for bringing a time-tracker into the family. Although she’d disappear, just her mind traveled, which is why time-trackers can go wherever they like; they’re only limited by the speed of thought. No secret, code, or bank is safe from their power. Before my mother lost her mind, she’d told my grandparents that her body hung in limbo, someplace where it stayed warm and safe until her mind returned. I think he hated it. He had fallen in love with a beautiful young woman, and now he was stuck with an alien who spent her time vanishing, fascinated by what she discovered on her travels. As time passed, between her powers and my needs, Mom neglected Dad, which worsened once my grandparents started to use her. Thanks to her, we got very rich because by going into the past, Mom learned all the skeletons in the family closets. And, to my father’s and grandparents’ great disappointment, I was not a werewolf. Princess Sophie Audouin-Mamikonian is not your typical princess. In fact, she’s a prolific author who works hard to perfect her writing. 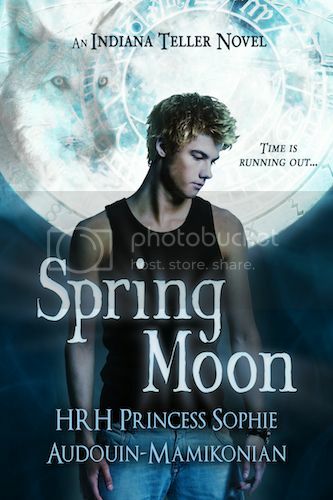 See what it is like to be in the shoes of a princess author.